Men don’t need 100 pairs of shoes. 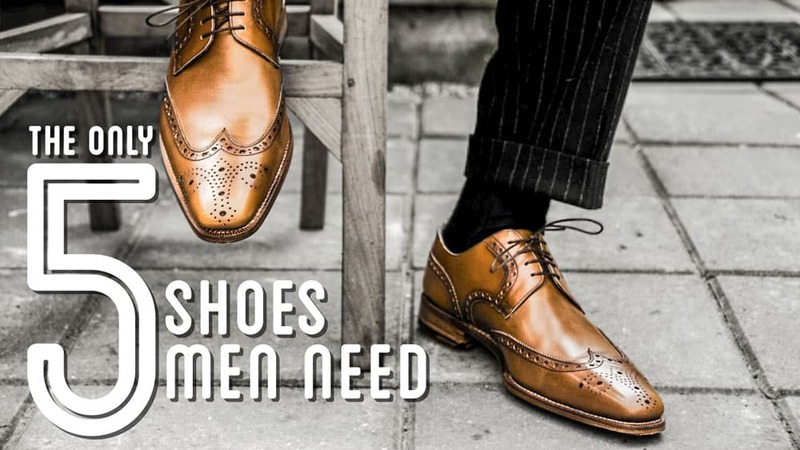 In fact, the list can be dwindled down to only 5 shoes than men truly need as part of their wardrobe. The handful of shoes on this list should make up the base of every guy’s closet. Some will undeniably find their way on your feet more often than others, but each one has their time and place, which will come up. Truthfully, you shouldn’t have to break the bank to buy a shoe for every outfit. The winning strategy is to own a few versatile companions that can adapt well with various get-ups in different situations. See what shoes you already have and what you should consider investing in to round out your style. 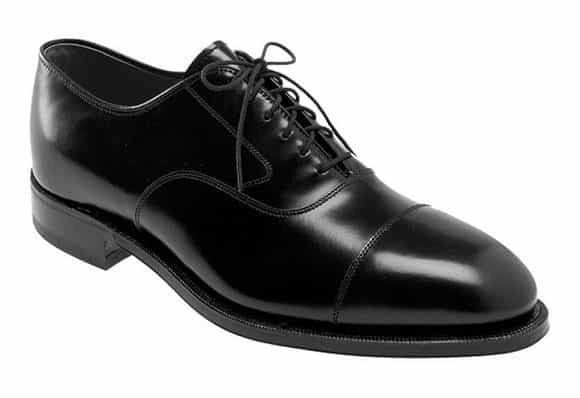 For most dressy formal events, black cap-toe Oxfords make up the uniform. Black tie weddings, funerals, and job interviews require every man to keep a cleanly polished pair of Oxfords in their closet. 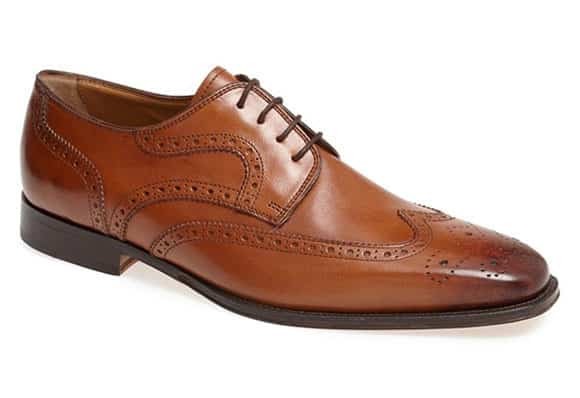 Oxfords originated in Scotland and Ireland, and are also known as Balmorals, named after Balmoral Castle. However, they are most widely known by their namesake, Oxford University. Oxfords are distinguished by their elegant, sleek, and timeless simplicity with closed lacing, low heel, and exposed ankle. Cap-toe Oxfords are recognized by the distinct line of stitching demarcating the toe of the shoe from the rest of the shoe. Your black cap-toe Oxfords mostly likely won’t be worn as often as the other essential shoes on this list, however they are a vital part of the attire needed for the formal events that pepper every man’s timeline. Think of them as a fancy lace-up and save them for occasions that require you to dress to the nines. Brogues are exceptionally versatile shoes that can be easily dressed up or dressed down according to occasion. They are easily identified by the plethora of decorative patterned perforations on the toe, lace flaps, and other sections of the shoe. Originating in the rural Scottish countryside, the punch holes allowed for the drainage of water when walking across wet environments like bogs. A brown leather pair of brogues can fit many pieces of your wardrobe. Choose your favorite shade from dark brown brogues to tan brogues. It’s best to match them with a similar shade of brown leather belt, so keep that in mind when making your accessory selections. 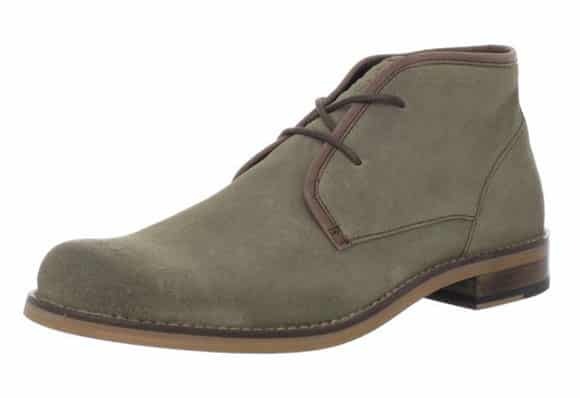 Chukkas and desert boots, are very versatile, lightweight shoes perfect for summer and fall weather. Chukkas originated in the sport of polo and their desert boot offshoot was popularized by the British military in the Western Desert Campaign of World War II. These ankle-high boots are identified by their unlined suede or leather uppers, leather or crepe rubber soles, and open lacing with at most two or three pairs of eyelets. Their classic, minimalist design makes them perfect to dress down with casual outfits, or dress up with a suit. They come in every color under the sun, but the variations that have best stood the test of time are tan suede and brown beeswax leather. Chukkas and desert boots are extremely easy to pair with any type of chinos or khaki pants but may be a bit more difficult to pull of with shorts. For snow or rain, nothing beats a classic pair of winterized leather boots. Depending on climate, leather boots might be the reliable workhorse in your wardrobe. Leather boots are an acceptable piece of your wardrobe to splurge on. 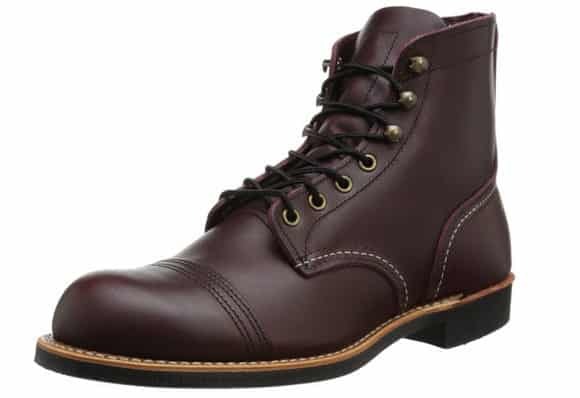 A pair of good quality boots should last 5-10 years, if not a lifetime, and the leather will get better with age when treated and protected well. The most flexible type of leather boot is a conservative 6″ boot in classic tan or dark brown without much decoration. Boots have a bit of a range too, from casual weekend wear to work casual. Although they normally shouldn’t be worn with a suit, they’re practically made for denim. Brown leather boots also go great with cords, chinos, and khakis of all colors. Work boots and boots requiring extra traction and durability on slick surfaces like ice and snow need lugged rubber/Vibram soles. Dressier options usually come with cork or leather soles and are rarely lugged, so their biggest weakness is traction. Opt for an all-purpose, weather-resistant, dependable leather boot, pick up some Redwing Beckmans or Chippewa Apaches. Otherwise, you’ll be fine with just a pair of chukkas. For the most casual of settings, your go-to shoes should be a pair of comfortable trainers or canvas sneakers. Go for a lightweight shoe that can keep your feet content from spring through fall. 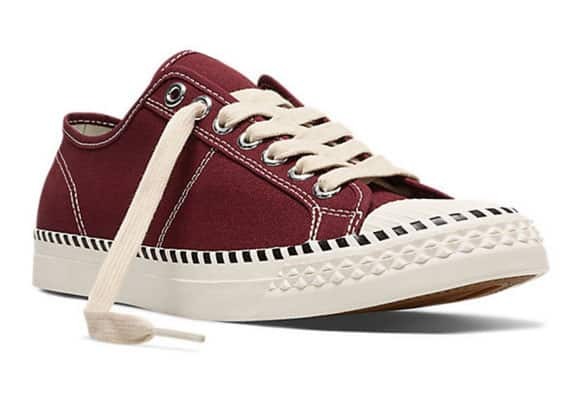 Canvas sneakers have been popularized by Converse with the Chuck Taylor All-Stars and Jack Purcell lineup. Trainers and casual canvas sneakers pair well with denim, chinos, and khaki pants. They’re also a great match for any type of shorts, and because of their light weight and breathability, they make perfect substitutes for boat shoes or flip flops on a sweltering summer afternoon. The most versatile shoes come in white or natural canvas, but since casual sneakers in general are very affordable, it wouldn’t hurt to get creative and pop out at the neighborhood barbeque with some reds or blues. Get creative with your casual shoes if you want to expand beyond one pair. Anybody have any suggestions for brogues and Oxford’s for guys with narrow feet? Shopping for shoes is a nightmare for Mr because most shoes move around quite a bit on my feet, making blisters an inevitability. How about Cowboy boots? This should be in every man’s closet. I know that this is out of the norm for some guys at different locations. (A New Yorker, for example, may wear them just for the weekend whereas a Texan may wear them everyday, everywhere, everytime). You definitely don’t have to be a cowboy to wear one – but it will make you feel like a Badass for sure! I’ll write one up on workout sneakers next Daniel. Do you have any recommendations in mind?